This new toggle available in your console allows you to turn off shipping confirmation emails. This feature is ideal for any client who uses Membership or Events that cross sell merchandise into other forms who chose not to send the 'shipping confirmation' email when the order has been completed. 5. 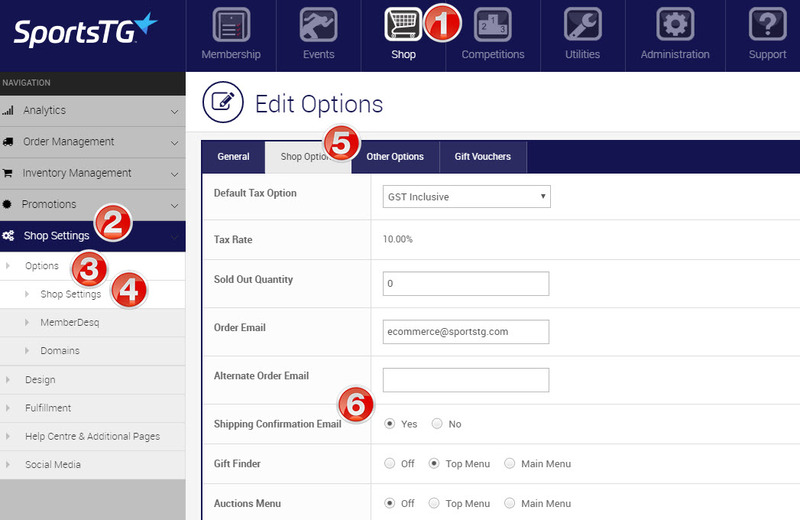 From the menu bar, select Actions, then Edit and click on the Shop Options tab. Note: Once you switch the toggle between Yes and No, please wait 5, before you update your order status to ensure the emails are not sent as desired.